With Downton Abbey season 3 starting soon PBS is re-airing the first 2 seasons and I can’t help but watch again. You miss so much the first time around and the one thing I never really understood was this entail business. After all it’s the basis of the entire plot and being Canadian I just don’t really understand these funny British property laws. Why is some distant cousin going to inherit the entire estate? Why is Cora’s fortune going to this distant cousin and not her own daughters? Why can’t Mary just have it? Entail: “A settlement of the inheritance of property over a number of generations so that it remains within a family or other group”. Downton Abbey is entailed to a male heir because back then a woman’s property was her husbands, so if it was left to a male heir there would be no question that it would remain within the family. If it were inherited by Mary and she had a husband, it would become his and it would be out of the family (and there’s some business in there about titles that just wouldn’t work either). That is why Cora’s fortune is caught up in the estate, it’s now her husbands. The 5th Earl (Lord Grantham’s dad) made it all neat and tidy so that it would be there to run the estate for generations to come (seem’s all very expensive). Which probably sounded like a great idea at the time, but the 6th Earl had no sons and his heir died when the Titanic sunk. So they go back up the family tree and find the next male descendant of one the earlier earls and that’s Matthew Crawley, a 3rd cousin twice removed. So the solution is, and always has been, marry their daughter off to said cousin/heir. (And she wouldn’t even have to get used to a new last name!) They also don’t “own” Downton Abbey, they didn’t buy it, it was entailed to them so they have to pass if off when they die. Below are some of the articles I found very interesting and helpful, I highly recommend reading them because it’s much, much more intricate than my little summary above. The first is pretty specific and legal and comes from the blog Promantica’s post: “Downton Abbey Fans – Welcome to the MOST Boring Law School Class”. With the help of her ex-husband British lawyer, it’s not that boring. 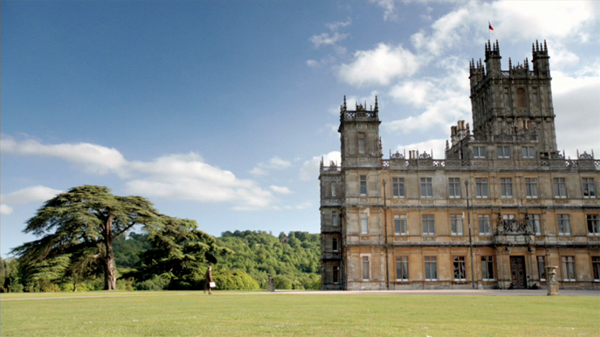 The next is this post is from Law and Lawyers: “The Downton Abbey Entail…” . This is again, pretty specific to the actual laws, most of which fly right over my head. Still an interesting read. The last is from the blog Austenprose: “Downton Abbey Entailed? Understanding the Complicated Legal Issues in the new Masterpiece Classic Series”. I like this one because it’s relates it to familiar Jane Austen’s Pride & Prejudice and doesn’t really bother with the legal jargon. So there you have it, now you can enjoy season 3 without being confused about British property law.